The July 11th 1876 issue of the Sutton Coldfield News contained a letter from “Grumbler”, saying “we want more than public-house knowledge and we have an idea that a portion of the town’s wealth should be expended in a free library, and thus be the means of elevating us from our present low standard”. The Public Libraries Acts of 1850-1866 empowered local authorities to provide libraries, but for a long time the Sutton Coldfield Council declined to take advantage of the Act; when it finally adopted the Act in 1936 it was one of the last authorities in England to do so - our first public library opened in a converted church on the Parade on March 6th 1937. The town hall reading room on Mill Street was visited by young Francis Chavasse on October 3rd 1864. Francis James Chavasse (1846-1922) lived at Wylde Green House (demolished in 1952), on Birmingham Road near the junction with Wylde Green Road. Frank started to write his diary on his sixteenth birthday, 27th September 1862 and continued it for the next six years; the volumes are now in the Bodleian Library at Oxford. The October 3rd entry reads “went to the Reading Room with Victor Holbeche and stayed all evening”, Thomas Victor Holbeche was also eighteen years old. Frank must have been admitted to the reading room as Holbeche’s guest - two months later he records “December 31st. Mama has very kindly subscribed to the Sutton Reading Room for me, so I shall be able to go there now”. The ten shilling subscription was no obstacle to the wealthy Chavasses, but must have been prohibitive to the class of people “Grumbler” was speaking for. Frank went to the reading room quite often in the ensuing months, mostly to read The Times newspaper, staying all afternoon on one occasion; the room must have been open long hours, as Frank did not get home until 8.15 p.m. on May 11th. The Chavasse diaries are full of trivial personal information, but nevertheless give a vivid insight into the life of Sutton Coldfield in the 1860s. Find out more from Janet Jordan, who came across the diaries and has studied them in detail, and will be giving a free talk, Francis James Chavasse, A Typical 1860s Teenager?, at 10.15 a,m. On Friday 18th September in the New Hall Room at Sutton Library. 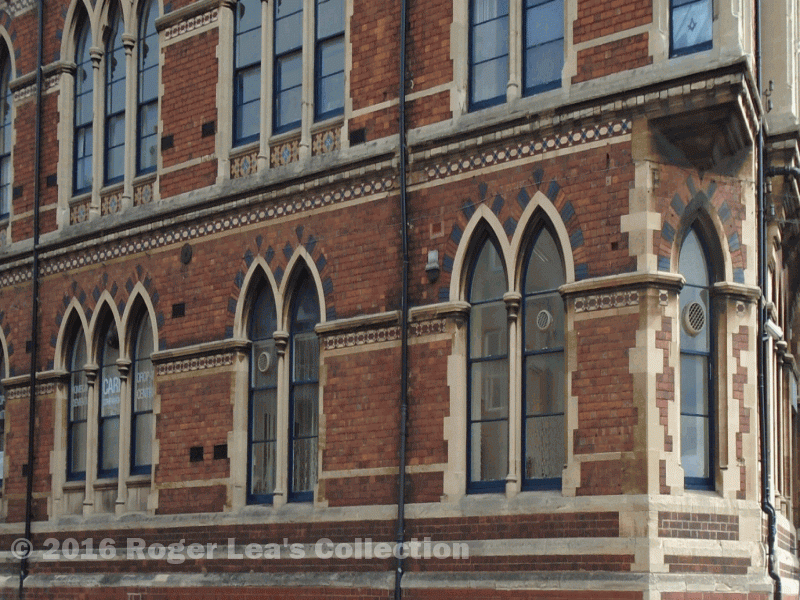 The old Town Hall in Mill Street is still a colourful building, but it must have been dazzling when Chavasse went there in 1864 when it was only five years old - the Library and Reading Room was behind one of these gothic windows.